Although new technologies have put more news, data and research at our fingertips, the public library’s mandate – to serve the information needs of the community – hasn’t changed. In fact, quite the opposite. The rise of digital technology has made it even more important. With social and digital media, it’s easier than ever before for people to participate in national discussions. Overall, this is a good development. But there’s a downside too. Too often, what we read online is misleading, inaccurate, unverified and even fake. 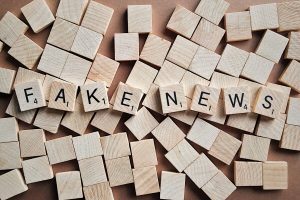 As a result, most Americans today believe it’s “harder to be well-informed and to determine which news is accurate,” according to a recent survey by Gallup and the Knight Foundation. This is exactly why our mandate is more important than ever. Public libraries are in a unique position to help readers distinguish between fact and fiction. Many public libraries across New Jersey and the country already offer media and information literacy training resources for their community. For example, last fall, the Red Bank Public Library ran a three-part program about fake news and media literacy that featured speakers from the media, academia and schools. In addition, it offers a resource page on its website to help citizens improve their media literacy. Efforts such as these serve the public library mandate and are critical to helping people in our communities distinguish what’s false from what’s true. But we also have to make as many people as we can aware of these resources. To do that, here are a few ideas for marketing media and information literacy resources to your community. Media literacy affects everyone, so look for ways to partner with others in the community. Invite local media to sponsor and participate in sessions. With their involvement, you may be able to negotiate free advertising for the events in which they take part. Another option is to work with local school administrators to offer workshops on campus. With their help, you can promote these sessions in school publications. Beyond these logical partners, connect with local nonprofit organizations, such as the local Chambers of Commerce and YWCA/YMCAs. Adults have a vested interest in becoming information literate. As a new learning model, gamification promises to engage learners at higher levels. According to CMO.com, games have achieved engagement rates of 86% to 90% on average. Because they’re fun, participants don’t view them as marketing or learning chores. And although mobile games can be costly or complicated to design, simple options, such as quizzes, make gamification accessible for small budgets. Another option is to focus on offline opportunities. Consider creating a game show event in which community members can participate as contestants in front of an audience. Although the staff may discuss media literacy with library visitors every day, public library marketers can also use social media to extend this conversation to a much larger community audience. Incorporate bite-sized lessons into your editorial calendar. For example, you may want to start a “Media Literacy Monday” and share tips throughout the day. No one knows better than public librarians that stories are memorable! To reach teens and Millennials, use Instagram’s story feature to share examples of media literacy. Finally, mark your calendars for November 5-9, which is Media Literacy Week. For more promotion and programming tips, visit Public Libraries Online which shared several ideas for marking the week in 2017.